In 1517, the Ottoman Sultan Selim "the Grim" conquered Egypt and brought his empire for the first time in history into direct contact with the trading world of the Indian Ocean. 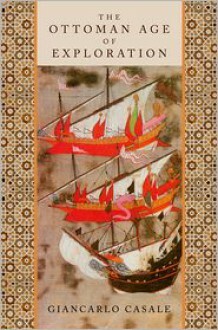 During the decades that followed, the Ottomans became progressively more engaged in the affairs of this vast and previously unfamiliar region, eventually to the point of launching a systematic ideological, military and commercial challenge to the Portuguese Empire, their main rival for control of the lucrative trade routes of maritime Asia.The Ottoman Age of Exploration is the first comprehensive historical account of this century-long struggle for global dominance, a struggle that raged from the shores of the Mediterranean to the Straits of Malacca, and from the interior of Africa to the steppes of Central Asia. Based on extensive research in the archives of Turkey and Portugal, as well as materials written on three continents and in a half dozen languages, it presents an unprecedented picture of the global reach of the Ottoman state during the sixteenth century. It does so through a dramatic recounting of the lives of sultans and viziers, spies, corsairs, soldiers-of-fortune, and women from the imperial harem. Challenging traditional narratives of Western dominance, it argues that the Ottomans were not only active participants in the Age of Exploration, but ultimately bested the Portuguese in the game of global politics by using sea power, dynastic prestige, and commercial savoir faire to create their own imperial dominion throughout the Indian Ocean.